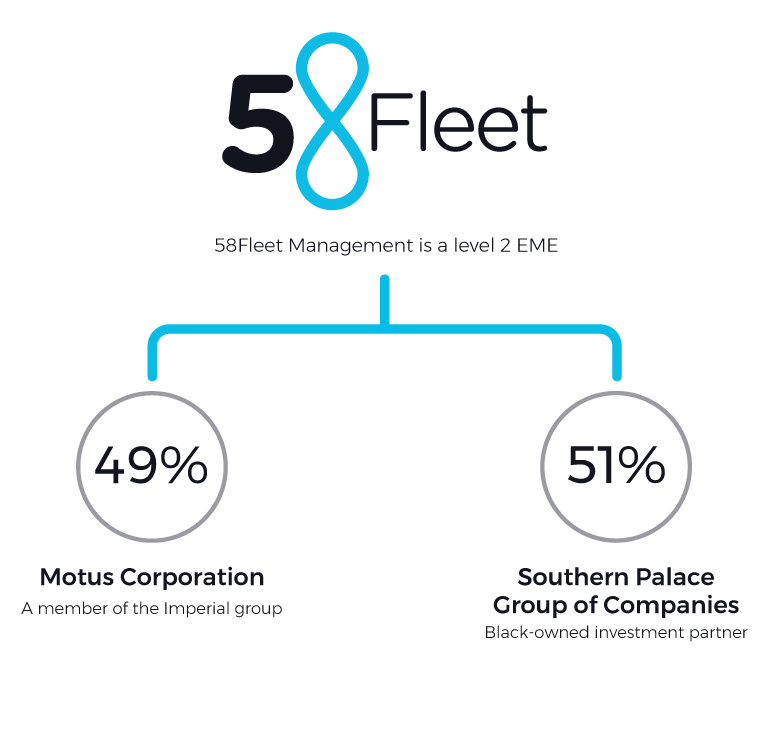 At 58Fleet we lead the pack in fleet management services. We have a clear mission and vision that guides us as we guide our customers. We live by our five core values. In fact, we are so committed to them that they form part of our name. 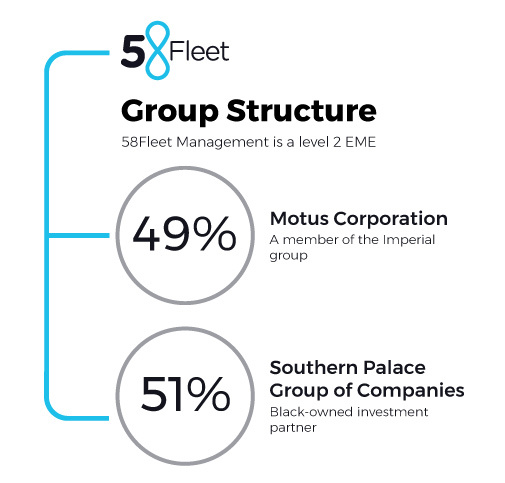 These five pillars make up our approach to superlative fleet management. Not only do we bear the name of the 58 navigational stars in the sky – our name also contains our five core values and the number eight. The number eight has no beginning and no end, it exists in a continual state of flux. We too are in perpetual motion – ever evolving to offer the best solutions to our clients. We aim to solidify our reputation as a world-class fleet company through the capabilities and scope of our shareholders. We strive to use cutting-edge innovation and technology to deliver solutions that suit each client. We constantly aim to develop our team to take full ownership of our clients’ business and its efficiency. We are passionate about exceeding our customers’ expectations and we believe in fostering long-term relationships that will benefit clients and shareholders alike. To enable our clients to be more successful by managing their individual fleet needs in a long-term, evolving partnership. We are committed to providing our clients with tangible results and an exceptional customer experience. We work in in a variety of segments, with a full product offering across a range of vehicle types. Our shareholders give us clout and negotiating power. We have the backing of their immense scope and networks. Imperial Holdings, Southern Palace Group and Lereko help us to be impactful within the South African landscape because we know how to use these relationships to benefit our clients. We have access to the biggest dealer network in South Africa – over 200 and counting. We offer the biggest maintenance and service plan provider through our sister company, LiquidCapital. You gain access to over 51 000 team members serving customers from more than 1200 locations in 31 countries and five continents. Our revenue is more than R110 billion. We constantly extend carefully chosen segments within the logistic and vehicle chains. Through key partnerships with top financial institutions: MFC (Nedbank), Standard Bank and WesBank, we add value for our clients. You gain access to maintenance authorisations via our call centres at LiquidCapital. Our call centre operates 24/7.